Please pardon our appearance while we renovate our grounds! For those of you visiting the university this summer, you'll find that a good portion of our grounds is currently under construction. While many of these projects will be completed before students return for classes in the fall, some others are more long term. I thought I'd take a minute to talk about some of the exciting projects going on around grounds. Projects due to be finished by this coming August include the restoration of the chimneys in the student Lawn rooms, as well as the various projects along the Pavilion and Range areas of the Academical Village. Additionally, the Lawn—a central hub for student activities at UVA, ranging from informal games of Ultimate Frisbee to more formal events like Convocation and Commencement—will undergo a massive replacement due to drainage issues from years of use, and will be completed before classes start this fall. 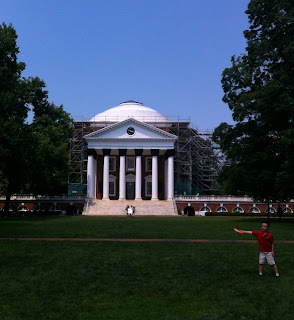 Jefferson’s ‘Temple of Knowledge’, the Rotunda, has also begun a renovation project in order to replace its dome roof, skylight, and exterior masonry. This phase, which will last through summer of 2013, is the first of many in a multi-year project that will involve future repairs to the column capitols and the portico roofs. This is the third major renovation of the Rotunda in UVA’s history, including Stanford White’s renovation of the Rotunda following an 1895 fire, and the 1976 project to restore the Rotunda back to its original Jeffersonian design. Other construction projects around grounds pertinent to incoming students include the Alderman road residence halls and the Newcomb Hall renovation. The Newcomb Hall renovation will include a completely revamped dining area, as well as renovations for the Cavalier Game Room and Newcomb Theater, and is slated for completion come November 2012. The residence halls currently under construction in the Alderman road residence area will be completed in August of 2013 and will provide incoming students with state of the art resident halls complete with modern amenities and a strong emphasis on facilitating intellectual discourse within a living community. All current projects are also being carried out with a focus on the environmental sustainability of the structures. The Alderman road residence halls and the restoration of New Cabell Hall are seeking a Leadership in Energy and Environmental Design rating of Silver and Gold, respectively, from the U.S. Green Building Council. The LEED rating system looks at the environmental impact of buildings based on five main categories including Sustainable Sites, Water Efficiency, Energy and Atmosphere, Materials and Resources, Indoor Environmental Quality. While these restoration and rebuilding projects can pose somewhat of a hassle (and an eyesore) while navigating around the university, it's a price we're willing to pay in order to maintain—and constantly improve—both the beauty and functionality of our historic university. Hey Guys! My name is Emma Petkofsky and I am a rising third year here at UVA. I grew up in the wonderfully historic Williamsburg, VA and I am studying Kinesiology and Psychology here at UVA. After I graduate I plan to get a master’s degree in Occupational Therapy. One of the most rewarding things I've been involved with here at UVA has been undergraduate research--something that about two-thirds of our undergraduate students will take part in during their time here. 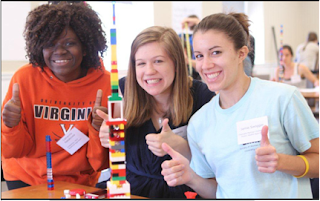 I know when people talk about research at a university it is easy to jump right to science and engineering projects, but as a student at UVA you have the opportunity to explore whatever topic interests you most--no matter the field or the discipline. There are also a number of different avenues to getting involved in research, whether through student-led projects or teaming up with professors. As a research-oriented university, our professors are constantly engaging in their own research, and are more than happy to have undergraduates working on their projects. For my own research project, I received the funding I needed through one of the grants offered here at UVA, known as the Jefferson Public Citizens. This grant is given to student teams of three to seven members that work on a project under the advisement of a faculty member. Some of this research takes place on grounds, but other projects have given students the opportunity to travel across the country, and internationally as well. My JPC team, for example, is doing research here in the Charlottesville area that deals with topics concerning gender studies and relationships. Some other grant opportunities available to students at UVA are The Harrison Award, and The Double Hoo Research Grant. The Harrison Award grants up to three thousand dollars to undergraduate students to work on a year-long research project, and the Double Hoo grants up to five thousand dollars to an undergraduate and graduate student pair working on a year long research project. Research is abundant here at UVA. Whether you are interested in the arts, or engineering a clean water system for the developing world, you will find the resources you need to take part in a number of hands on, innovative research projects all over grounds. Hi everybody! My name is Sandra Menendez and I am a rising second year in the College of Arts and Sciences. I hail from the beautiful Richmond, Virginia and am hoping to double major in Studio Art and English Literature. I had always imagined myself going out-of-state to take on the world after high school, but when I visited UVA (against my will), I fell madly in love. From its rich, historical history to its crazy traditions, UVA has proved to be everything and more. I can honestly tell you that I am happiest when I am sporting my orange and blue. I want to talk to you guys a little bit about something that, when I was in your shoes, made me cringe a little about UVA: its stereotype. Sometimes you’ll hear that UVA is filled with a particular kind of student who acts or dresses a certain way. Let me tell you, we are all very far from it. I like to think of UVA as a great mix of things. We are incredibly diverse. We have artists AND athletes; polo shirts AND combat boots; clean cut AND tattoos. There is nothing typical or stereotypical about a UVA student. What grounds us is our love for tradition, honor, and Mr. Jefferson’s University. 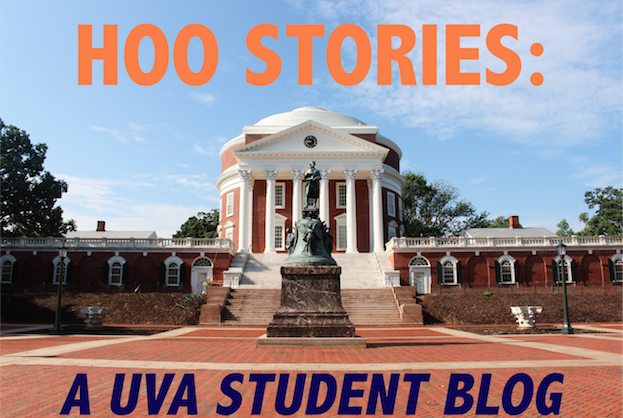 UVA is filled with students who have a “story” be it their heritage or an accomplishment or an interest that they’ve pursued. Trust me, UVA has a ton of resources for just about anything. A great place to start looking would be http://atuva.student.virginia.edu/ which lists just about every organization and support system for students available on grounds. Just to name a few, you can find: Black Student Association, LGBQT Resource Center, Asian Leaders Council, Muslim Student Association, and the Global Brigades. But yet, this isn’t just what makes us diverse. We are the proud owners of the Tater Tot Club and Student Council. The interests here simply abound. In addition to our clubs and resources, we also have multi-cultural greek organizations that cater to students who want to blend the greek system with a more diverse approach. There are also opportunities to make your first (or second, or third, or fourth) year living experience truly unique and memorable. 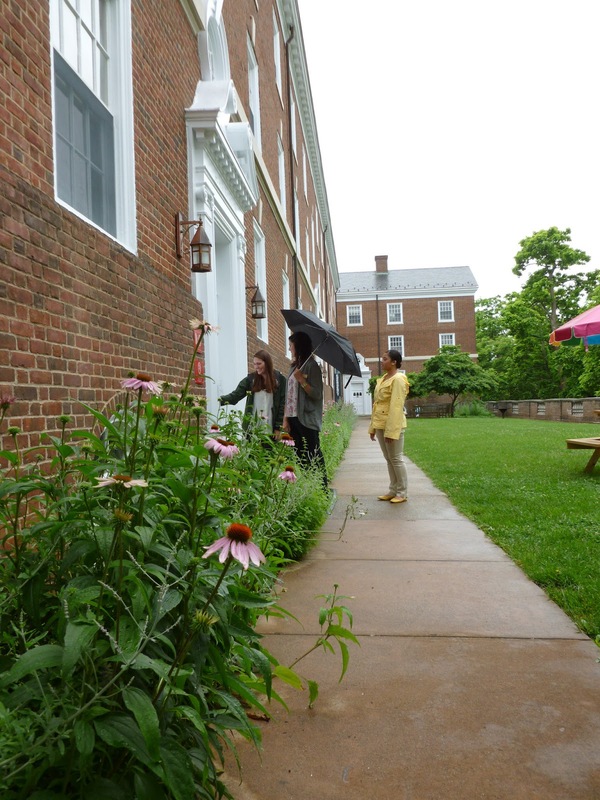 The International Residential College houses students from all over the world (and all over UVA as well). You don’t have to be an international student to live there, but be prepared for a cultural experience! You can apply to live in the IRC while applying for housing your first year at http://www.virginia.edu/irc/index.php. Some of the benefits include: free breakfasts and sit down dinners with an invited professor to discuss the topic of his or her choosing! 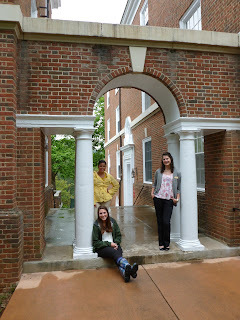 Hey guys, I am Ava Morris and I am another one of the summer guides residing in Charlottesville this summer to give you all insight on the University of Virginia. I am originally from Richmond, Virginia which is about an hour away from Charlottesville. While Richmond is relatively close to Charlottesville, I rarely find myself at home. I have found my place at UVA and have begun to consider it my second home. I am a rising second year and will be applying to the McIntire School of Commerce this year while also minoring in sociology. I definitely enjoy my classes and the wide variety of courses at the university but I also enjoy the programs that one can join outside of the classroom. I am a part of the Football Marketing Team (Fill the Hill), Virginia Ambassadors, I volunteer through Madison House, and the Resident Advisor Program. There are so many groups to get involved in at the university that truly anyone can find their niche. There are many events and programs around grounds that assist students in finding their community. One of these adaptations would be the first year living experience or “dorm life.” As a resident advisor, I have come to love and appreciate the aspect of “dorm life,” and the memorable experiences that students receive from living on grounds their first year. I decided to become a resident advisor and extend my residency in dorms because I had an amazing first year living experience. The individuals who I now consider my best friends all lived in the same dorm with me which initiated our friendship and helped it grow stronger. I was able to go next door or down the hall whenever I was hungry to find someone to go to the dining hall with me. My resident advisor also planned various programs which helped me get to know my hall mates better while also strengthening the bond within the hall. She planned hot tub movie nights, s’mores on the quad, hall dinners, and ornament making before finals. Besides planning amazing events, my resident advisor was also available for advice on classes or just to have a friendly conversation but overall she made the transition from high school to college easy and enjoyable. After having a great experience living in in dorms, I decided to become a resident advisor so I could create the same experience for other incoming first years. As an incoming first year, you will live in one of three different living areas: old dorms, new dorms, or "new-new" dorms. 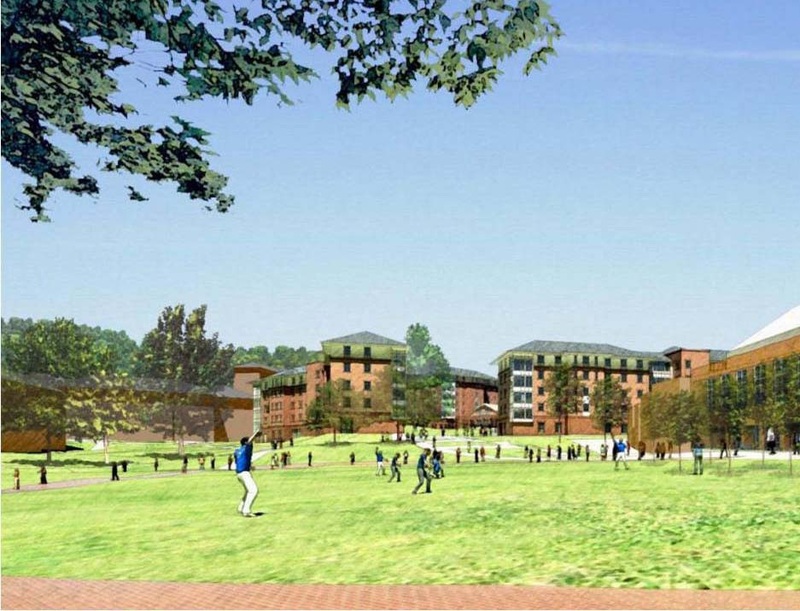 The university is currently in the process of knocking down our suite style dorms, which university students refer to as new dorms, and building brand new hall style dorms, which university students refer to as "new-new" dorms. In the upcoming years, there will no longer be suite-style dorms on campus and all first year dorms will be hall style. Currently, old dorms and new-new dorms are hall style while new dorms are suite style. The dorm assignment process is random which means that as an incoming student you cannot choose the area that you want to live in instead it is assigned to you. Even though you cannot choose the living area, you can still choose your roommate if you would like to. If you ask UVA students which living area is the best, they will probably answer with whatever area they lived in their first year. There is a great sense of pride and camaraderie within each housing area, and as a result, some lighthearted competition between the two. I lived in old dorms as a first year and even though they are the oldest dorms on campus, I was able to still find a lot of charm in them. I enjoyed having the quad outside of my window and being able to hear the university singing groups participate in “dorm sing” without leaving my room. I also enjoyed being in the center of grounds which allowed me to have about a ten minute walk or less to any place on grounds. Once you receive your room assignment, you will probably go into a mad rush to find your roommate on Facebook and begin to buy all of the necessary items for your dorm. But all of the fun starts once you move into your dorm. The first week in the dorm is when the resident advisors will plan a ton of programs to help you meet your hall mates and other first year students. They will take you to see the hypnotist Tom Deluca, plan hall dinners, help you find your classes, and take you to your orientation events. Once you become accustomed to your new living environment and meet other members of the student body, you can begin to find the perks of dorm life on your own. As a second year student, I will definitely miss living in dorms and being able to run up a flight of stairs and jump on my best friends bed. I will also enjoy having 39 other dinner date candidates on one floor. Living in dorms as a first year student is definitely one of the most memorable experiences to have at the university and I am thrilled that I have the opportunity to make the experience as much fun for others as my RA did for me.